Angelix with 2.01 carat Princess Center - 14k White Gold - Ring Size 7.75-10.5 was added to your cart. The timeless elegance of the Angelix engagement ring embodies your timeless love story. The Contemporary Nexus Diamond solitaire shines with a brilliance that is accented by stones on the band, completing this feminine and airy stunner. 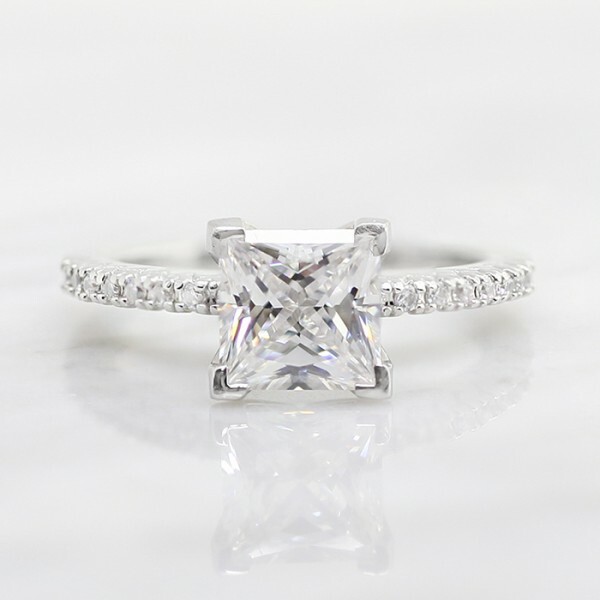 Center stone: 2.01 carat Princess cut Nexus Diamond, 2.17 total carat weight.